so while i was testing The Algonquian Expedition i happened to slip off the trail. stuck with only one way to go it was a bit of a pucker. @8up-local You're very brave using that medium trailer.. I avoid using that at all costs.. It looks like you've mastered it though! Here are a few more from a few of my recent adventures. This one is from PiX3LMonkey's Gauntlet map. Probably the least difficult of this authors maps, I'm not really into this type of map but The Gauntlet was a lot of fun in the bigger trucks. It's definitely not one for the feint-hearted, and you have to concentrate at all times to avoid loosing it all. The Gauntlet is for the serious enthusiast. It doesn't look exciting, but the path in the background was quite tricky in this truck due to how wide it is. 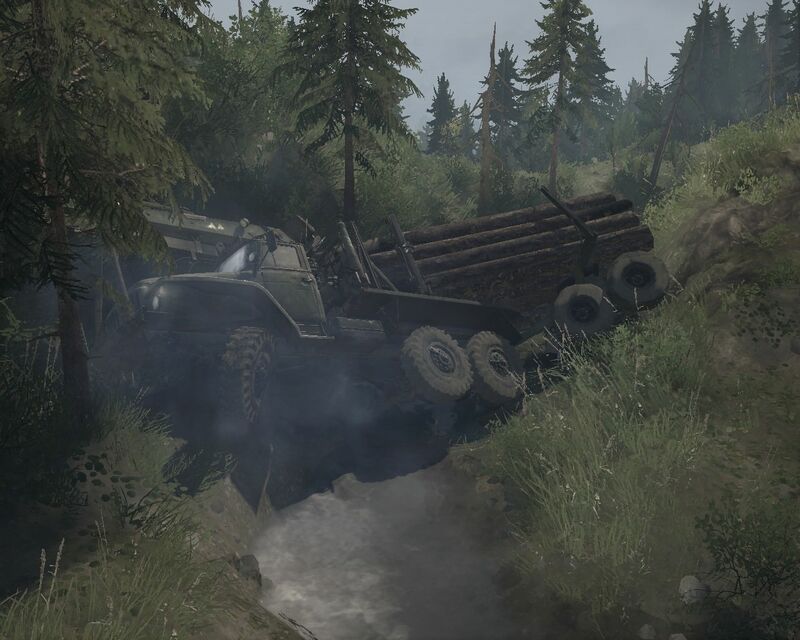 After the punishing terrain of The Gauntlet, I tried out the "Nervous work" map by Johnny_B.. It's not easy, in-fact there are some pretty tough parts but is simpler when compared to the previous map. 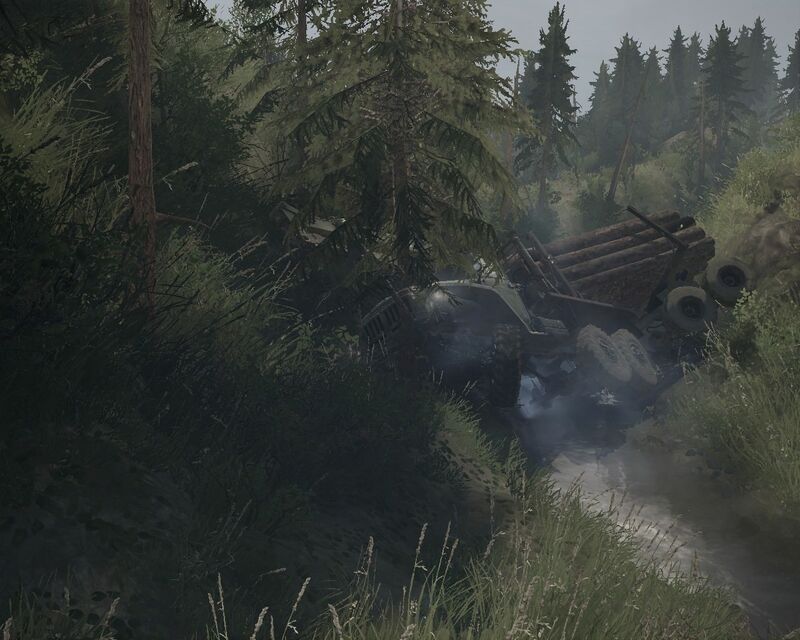 The realistic landscaping made driving around a pleasure and challenges were well balanced with the difficult parts of the map appearing as if they would in real life. Overall the map felt like it should be a stock map. One of my favourite maps from the ST days was recently ported by the author Pyro-xv it's called "Rock Valley Landslide". I gave some feedback on the ST version of this map back in the day, and it turns out he saw it and amended the new version, so its different to the ST version. 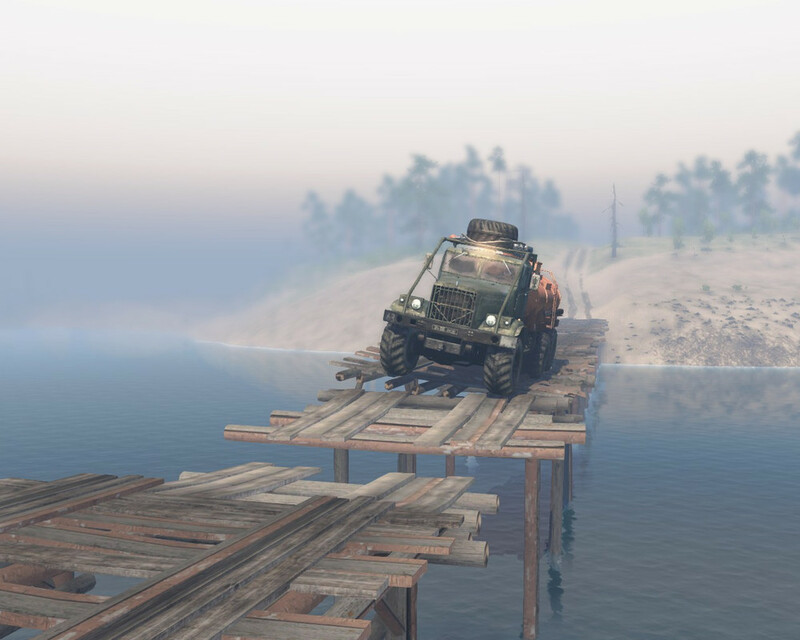 Awesome map, jam packed with detail and every inch is utilised in this small but very challenging level, use only your toughest trucks. There are plenty of short cuts if you can spot them, but they are hard to get through, this is the end of one tricky part. @kingpinn pretty cool looking maps. i might have to check them out when i get the chance. most of all though, that second pic is very nice. looks like it would make a great desktop imo. Definitely try the last one if you do try any of them.. 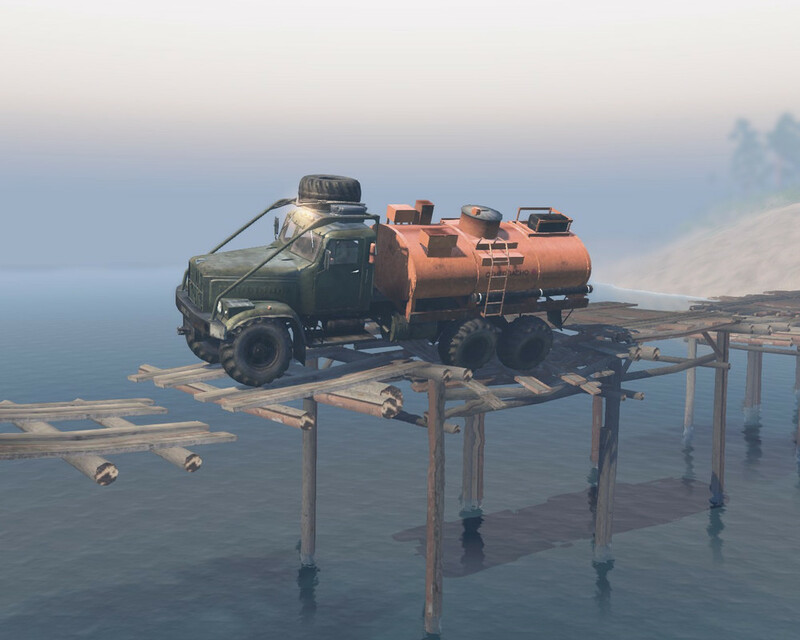 I always make a challenge to take a truck with a 4 point garage cargo attachment on a vehicle transporter to the second garage, unlock it an go from there. Sounds easy, but its really not.. Well worth a go though. @joridiculous These are edited in Adobe Lightroom. I do use ReShade, but the UI is visible on screen shots. I use the default screenshot method and then edit the files after so it doesn't have the stuff on screen getting in the way. @sodoma those pics remind me, you ever play any maps by Schlammspringer? 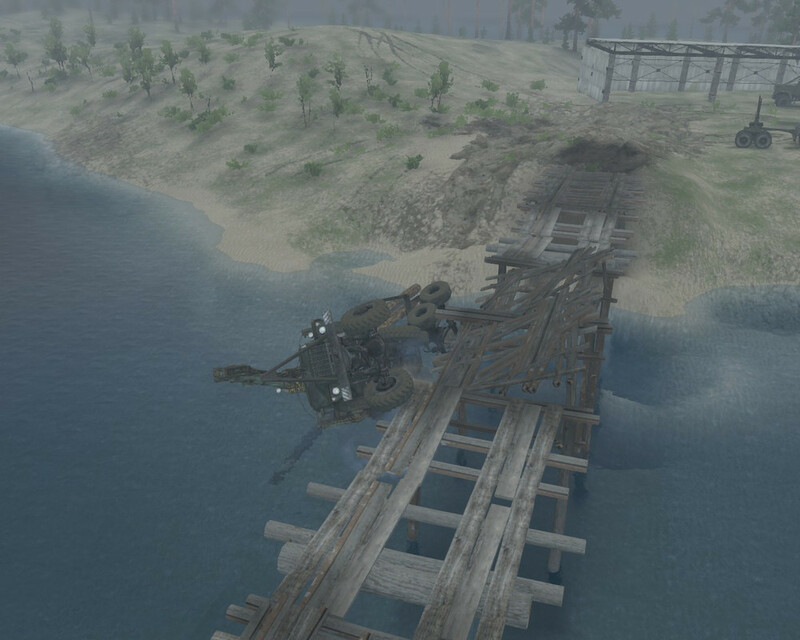 he did a couple neat things with bridges i liked. one was an easy one, just had the bridges just under the water making night crossings exciting. other was his "twisty" bridge. center pivot going lengthwise. 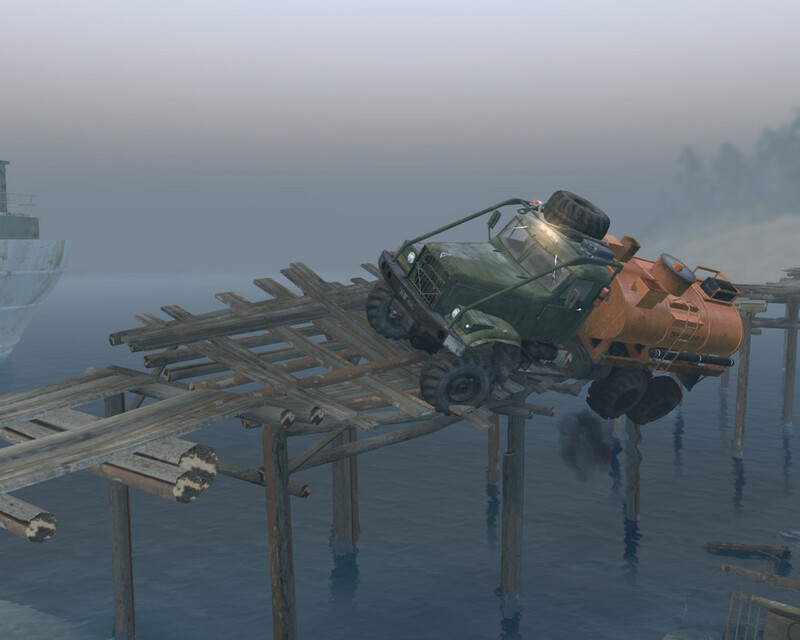 if you got a bit too much to the left or right on the bridge it would teeter and you would roll off the sides. lol quite the fun challenge with a Medium load. nice pics. the Tatra is still one of the best mods so far.